We here at EIN really like The Faceless. The idea of the act celebrating ten years of Planetary Duality by hitting the road and playing that record front to back, with a few other ‘fan favorites from every other album‘ thrown in for good measure, is tremendously exciting. But as any fan of the Michael Keene-fronted (and lately, Michael Keene only) project is no doubt aware, there’s something of an elephant in the tour bus to address: The Faceless have missed a lot of shows over the past year. The reasons for this are myriad, and frankly outside the remit of what we cover here. Put it this way: we really hope this tour happens. That’s not something one generally feels journalistically compelled to say above a list of tour dates, but here we are. 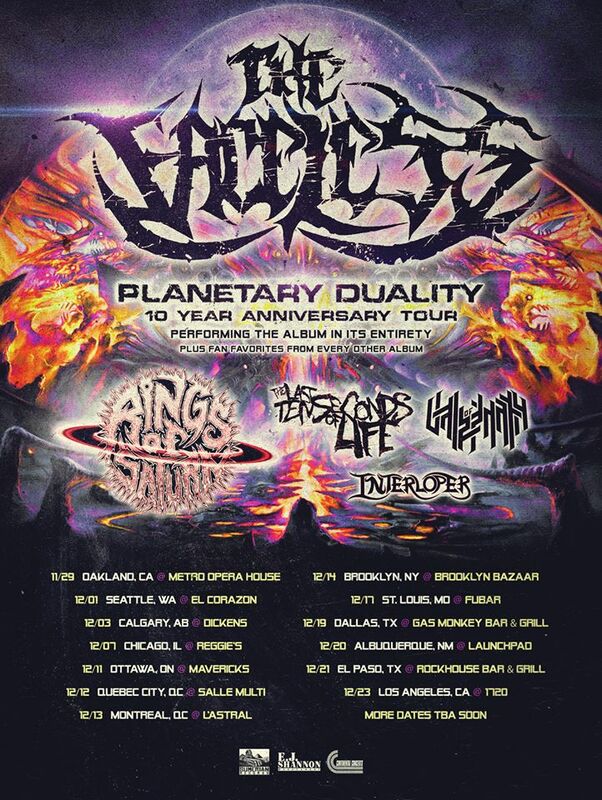 Supporting The Faceless, in theory, will be Rings of Saturn, The Last Ten Seconds of Life, Vale of Pnath and Interloper! The Faceless’ Facebook page promises more dates, so you should follow them there for more information, including when and how to get your tickets! Previous PostMartin Baltser - "The Wasteland Incident"